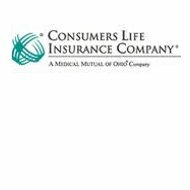 Consumers Life Insurance Company has been in business for more than 70 years as a subsidiary of Medical Mutual of Ohio. Offering health coverage to qualified persons in 29 states, Consumers Life Insurance works with a wide range of providers. Individual health insurance plans for students, retirees, employees that have recently been laid off and do not want to purchase COBRA coverage as well as independent contractors and business owners. While most customers opt to purchase long-term health care plans, Consumers Life Insurance Company also extends short-term coverage. Consumers Life Insurance sells standard health, vision, and dental coverage. In addition, supplementary Medicare coverage is also offered. Enter your zip code to view personalized health insurance quotes! Employer and self-employed persons can go to the Consumers Life Insurance website to view pricing information and health plan details. News information on changes in the health care industry, new health insurance laws and regulations, resources for patients and a physician search portal are also offered on the Consumers Life Insurance website. Consumers Life Insurance Company separate its health insurance plans into two main categories, individual and group rate. For individuals, Medicare supplementary health insurance is offered to patients that have Part A, which is hospital insurance. In order for Medicare recipients to receive Part B, coverage must be purchased. Consumers Life Insurance offers individual health insurance plans to anyone that is not employed or otherwise covered by another health insurance company. The premiums and deductibles will vary according to the age and need of applicants. There are several different phone numbers listed by Consumers Life Insurance Company. According to information listed on the official website, Consumers Life Insurance Company handles approximately 13,000 incoming phone calls each day. In order to get the highest level of customer care, the appropriate number should be dialed. Both individual and group rate plan quotes can be obtained online. Consumers will be required to enter general information about themselves, including but not limited to; zip code, age, and gender. Consumers Life Insurance Company also gives interested parties the option of asking for pricing information via the phone. After an application for an online quote is submitted, Consumers Life Insurance Company agents will follow-up and give a return phone call to the person that made the inquiry. Because Consumers Life Insurance Company does not extend coverage in all 50 states, applicants will find out if they can purchase a health insurance plan when they request quotes. Those that want to purchase Medicare supplementary insurance policies will pay the same rate regardless of health status. However, members that purchase Medicare supplementary insurance that live in different states may be subject to different premiums and deductibles. Consumers Life Insurance Company has job openings available for customer service representatives, security specialists, IT professionals, insurance claims adjusters, and many other skilled professionals. Through its parent company, Medical Mutual of Ohio, Consumers Life Insurance Company only hires non-smokers at this time. Although the company has its headquarters in Cleveland, Ohio, there are job opportunities available all across the continental US. Applicants are required to submit an online application after registering a unique username and password at the Consumers Life Insurance Company website’s employment portal. A resume may also be uploaded, depending of the nature of the position being applied for. Consumers Life Insurance Company also offers information on benefits packages, professional development, and future educational opportunities. Employees that are hired on and excel at their work duties can get their tuitions paid for by Consumers Life Insurance Company. Get free health insurance rates by entering your zip code now!